« Make Room for Kids Billy Joel Ticket Giveaway WHAAAT! Make Room for Kids Giveaway II! 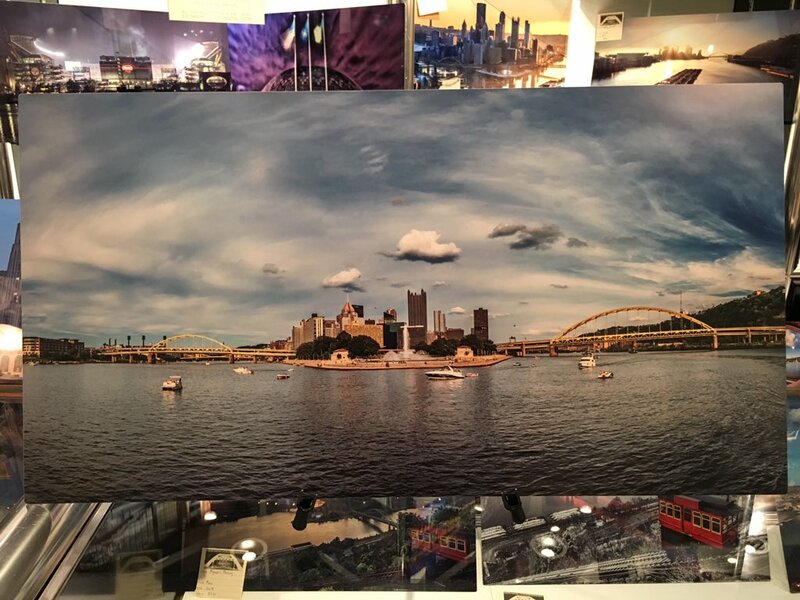 Metal Pittsburgh prints by Dave DiCello. Dave DiCello is the Linda Barnicott of photography, basically. If you understood that sentence, congratulations! You’re a Burgher. Regardless of where you live in the world, if you’re a Burgher, I can pretty much guarantee you’ve liked, hearted, thumbsed up, shared, retweeted, regrammed one of his photos; they are THAT popular. You remember last year Dave donated his sales over a span of days to Make Room for Kids and that turned out to be a $1,000 donation. He wanted to do the same this year, so he PROACTIVELY donated the $1,000 before he even raised it, meaning he gave $1,000 of his own money to the total. In addition to his $1,000 donation, he donated these two huge metal prints for me to give to two of you! To win: Donate and you are automatically entered to win! No, you don’t have to. You can comment on this post and you will be entered to win the prints, but if you can spare five dollars or so to donate to Make Room for Kids, I promise we will use the money. We have so many units to outfit, and they have lots of requests. We aren’t always able to fulfill every request, but each extra dollar helps us fulfill more and more. If you already donated, you are also entered to win this prize in addition to the Billy Joel tickets; you don’t have to comment or donate again. Dave and I will make arrangements to get the winners their prizes. Random.org will choose the winning comment/donation number this Friday at the same time it pulls the Billy Joel ticket winner. Good luck, let’s help sick kids have diversion from their diseases, and group hug. Great job Dave and Virginia. Yinz are doing a great job making those kids time at childrens more bearable. This is a great cause. So wonderful of Dave to donate these gorgeous works of art. Bought one in the MR4K sake too! Great art! Haha! I DID understand that first sentence! Great cause, and beautiful prints. Virginia Montanez and Dave DiCello, just two of the thousands of extraordinary burghers that make Pittsburgh such a remarkable city. Make Room for Kids (MR4K) began as a social media-driven fundraising effort by That’s Church blogger Virginia Montanez designed to bring gaming to sick children in medical facilities. Local Microsoft employees heard about the effort and decided to lend their support. The money raised through MR4K campaigns is used to provide Xbox consoles, kiosks, controllers and games to medical facilities chosen by Virginia and her readers. MR4K is now an official extension of the Austin’s Playroom Project at the Mario Lemieux Foundation. Bravo. Keep up the Good Work! His photography is stunning! Kudos to him for donating to your cause once again! 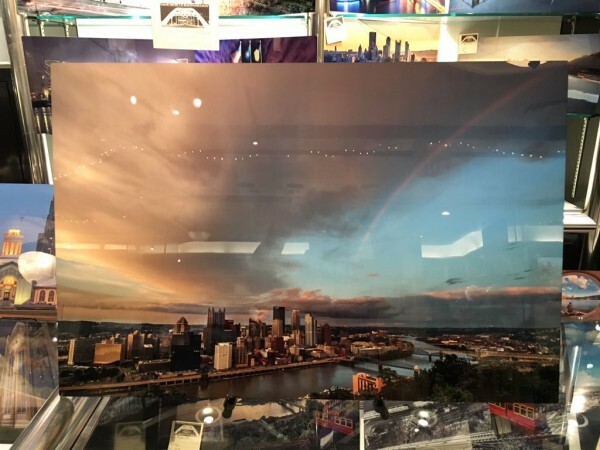 Have always loved Dave’s view of Pittsburgh and great job Virginia with MR4K….. Always enjoyed Daves work! Thank you both for doing what you do for MR4K! Dave DiCello offers a unique look at our beautiful city. Whenever I see one of his pictures, I’m instantly transported 400 miles north into a world with wonderful memories! Thanks for your work, Dave and Virginia! Dave has a FB page that shows his gorgeous photo art nearly every day. Great cause and kudos to Dave for his donations. Really like his ” Point ” of view. While I may have left the burgh, the burgh won’t ever leave me…..coming home this weekend! I totally got the first sentence! I’m a true Burgher! Donated. Thanks for keeping me so entertained and for all you do for this cause. Can I still get in on this? as if our city weren’t pretty enough already. Those prints (and your reminder to donate via twitter) were all I needed to jump in for a donation! You, Dave, and kids rock! I did wonder, though, if any of the money raised goes to buying books for the kids. Not all kids like video games.